It's the 25th Anniversary of Disney’s Beloved Animated Classic, Beauty and the Beast! Would you believe that it was twenty-five years ago when Disney’s Beauty and the Beast broke ground as the first animated feature film to receive an Academy Award® nomination for best picture? Now this tale as old as time will join the Walt Disney Signature Collection on Sept. 6 on Digital HD and Disney Movies Anywhere, and on Sept. 20 on Blu-ray™ and DVD! You'll be able to relive the magic and the music with four versions of the film plus all-new bonus features! 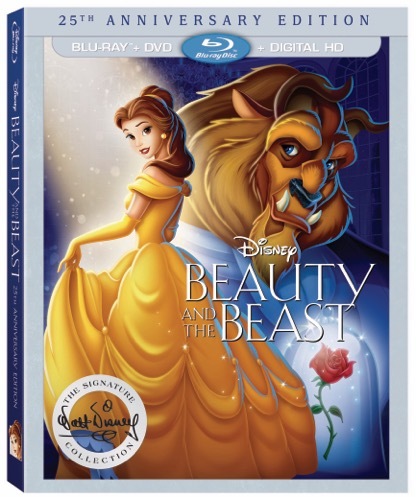 The Walt Disney Signature Collection edition will feature four versions of “Beauty and the Beast.” The Blu-ray release will include the original theatrical film; an extended version with the “Human Again” song sequence and a never-before-released in home entertainment sing-along version. The original work-in-progress version will be available digitally and on Disney Movies Anywhere. There is also a host of all-new bonus extras including a rare opportunity to gather around the piano with some of Disney’s greatest composers, including Alan Menken (“Beauty and the Beast,” “Aladdin”), Stephen Schwartz (“The Hunchback of Notre Dame,” “Pocahontas”), Kristen Anderson-Lopez (“Frozen,” Disney’s upcoming “Gigantic”), Robert Lopez (“Frozen,” Disney’s upcoming “Gigantic”) and Lin-Manuel Miranda (Disney’s upcoming “Moana”) as they sing and share how they’ve personally been inspired by the film’s award-winning music; a look at how Walt Disney himself sought to adapt this famous fairytale; a nostalgic look back with Paige O’Hara, the voice of Belle; behind-the-scenes access into the recording booth with the cast; and a sneak peek at Disney’s upcoming live-action re-telling of “Beauty and the Beast,” arriving in theaters in 2017! Did you know that “Beauty and the Beast” was Disney’s first animated film adapted into a Broadway musical? It ran for 5,464 performances from 1994-2007 and has delighted more than 35 million people worldwide. 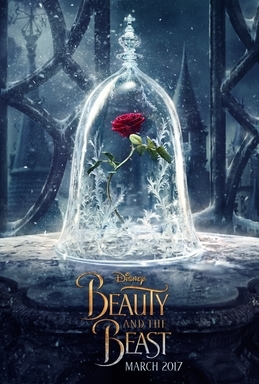 On March 17, 2017, us Disney lovers will get to experience the thrilling retelling of the original tale through Disney’s live-action film, “Beauty and the Beast,” in which Emma Watson (“Harry Potter” films) plays Belle and eight-time Oscar® winner Alan Menken returns to recreate his Academy Award®-winning music score! Be sure to keep an eye out for your chance to win your very own copy of BEAUTY AND THE BEAST 25TH ANNIVERSARY EDITION! Wow - had no idea that this was the first one adapted to a Broadway musical. That is so cool to know! Loved this movie...and saw it live in Toronto a mil years ago! I am beyond excited about this new movie. Plus wow 25 years since It first released. I am so getting wiser. Beauty and the Beast is my favorite Disney movie ever and is also the first musical I ever saw on Broadway. I think I own every version of this movie that has ever come out on VHS and DVD. haha I can't wait for the September 20th release AND the live-action version next year! I'm so excited Emma Watson will be Belle. She's the PERFECT fit! That is one of my favorite Disney movies of all time. I can't wait to see this! It's hard to believe, but my daughter is 30 and she saw this as a young girl, so it makes sense. She sang those songs over and over! I am going to have pick this one up! My girls lost our copy of Beauty and the Beast a while ago! Amazing! I had no idea it's been 25 years, that's really awesome, Belle will always be one of my favorites especially because of her love for books and reading. I can't wait for the new movie next year but for now, the animated version will definitely do! Wow, I had no idea it had been released that long ago. Making me feel a little old haha! I cannot wait for the new film, this is one of my old faves! 25 years? No way! Belle has always been a favorite in the Conyers' household. I haven't thought of this movie in so long. Thanks so much for the reminder - I need to pull this one out and watch it with my daughter. 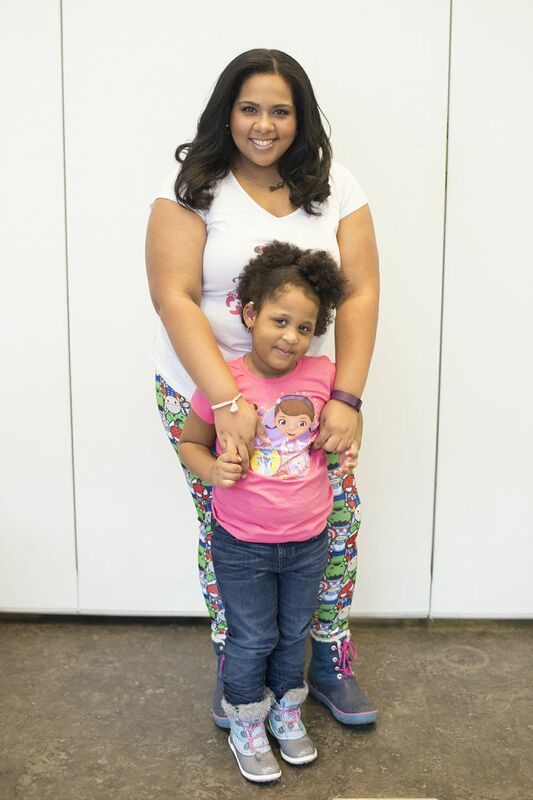 She's my favorite Disney princess! I'm so excited about this release. It's a classic. I'm excited that this film is celebrating it's 25th anniversary. I was in high school when it was released and I loved the strong, intelligent woman that Disney introduced in Belle. The soundtrack was one of my very first CDs, and my best friend and I would sing it (again and again and again) back and forth from college to home. It was and still is a true favorite. I am!! I love Director's cuts and trivia about all things Disney! This has always been my favorite. I loved Belle's yellow dress since I was little. I can still watch this movie over and over. I love Beauty and the Beast! In fact, I love all the Princess' stories 😊. I can't believe it's 25 years already, still remember the excitement when the movie launched on the theater.